BNo-one should attempt to take pictures underwater until they are a competent diver. Novices thrashing about with their hands and fins while conscious only of the image in their viewfinder can do untold damage. 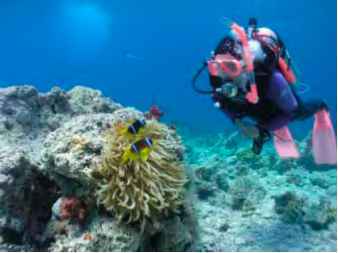 BEvery diver, including photographers, should ensure that gauges, octopus regulators, torches and other equipment are secured so they do not trail over reefs or cause other damage. BUnderwater photographers should possess superior precision buoyancy control skills to avoid damaging the fragile marine environment and its creatures. Even experienced divers and those modeling for photographers should ensure that careless or excessively vigorous fin strokes and arm movements do not damage coral or smother it in clouds of sand. A finger placed carefully on a bare patch of rock can do much to replace other, more damaging movement. BPhotographers should carefully explore the area in which they are diving and find subjects that are accessible without damage to them or other organisms. subject. Some fish are clearly unhappy when a camera invades their "personal space" or when pictures are taken using flash or lights. Others are unconcerned. They make the best subjects. BDivers and photographers should never kill marine life to attract other types to them or to create a photographic opportunity, such as feeding sea urchins to wrasse. Creatures should never be handled or irritated to create a reaction and sedentary ones should never be placed on an alien background, which may result in them being killed. as a seahorse, should be avoided because of the harm repeated bursts of bright light may do to their eyesight. For the same reason, the number of shots of an individual subject should be kept to the minimum. 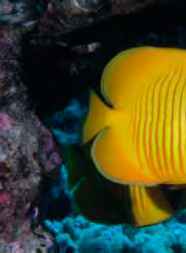 HClown fish and other territorial animals are popular subjects but some become highly stressed when a photographer moves in to take a picture. If a subject exhibits abnormal behaviour move on to find another. BNight diving requires exceptional care because it is much more difficult to be aware of your surroundings. Strong torch beams or lights can dazzle fish and cause them to harm themselves by blundering into surrounding coral or rocks. Others are confused and disturbed if torch beams or lights are pointed directly at them. Be prepared to keep bright lights off subjects that exhibit stressed behaviour, using only the edge of the beam to minimise disturbance. BCare should be taken when photographing in caves, caverns or even inside wrecks because exhaust bubbles can become trapped under overhangs killing marine life. Even small pockets of trapped air which allow divers to talk to each other inside them can be lethal for marine life. 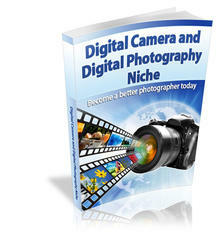 ®The image in the viewfinder can be very compelling. Photographers should remain conscious of their position and of the marine life around them at all times. In sensitive areas, they should avoid moving around on the bottom with their mask pressed up against the camera viewfinder. BAreas of extensive damage or pollution should be reported to the appropriate authorities. British Sub-Aqua Club and the Scottish Sub-Aqua Club. The response to UwP has been nothing short of fantastic. We are looking for interesting, well illustrated articles about underwater photography. We are looking for work from existing names but would also like to discover some of the new talent out there and that could be you! If you have an idea for an article, contact me first before putting pen to paper.